It’s a brand new world! The three major news networks during President George W. Bush’s reign are no longer relevant in a world of 24-hour cable network news shows. The 43rd president forced a reality check on Matt Lauer of NBC’s The Today Show. He passively-aggressively took the liberal host to task for self-importance is must-see entertainment. 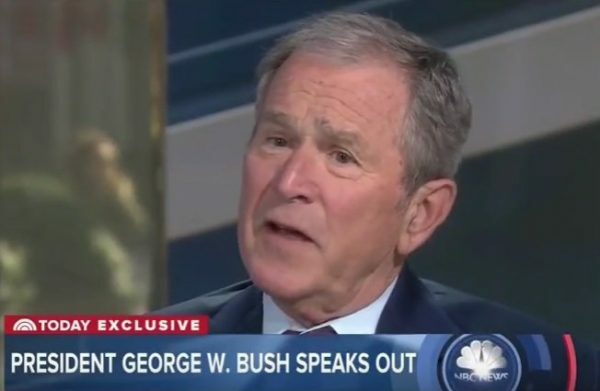 In a recent interview, Matt Lauer tried to bait former President George W. Bush into criticizing President Trump on a number of issues. Left-wing bias dripped from every Lauer question. The first question focused on divisions in America. The mainstream media doesn’t willingly acknowledge the divisive political culture in America cannot be repaired by one person. Unfazed by Bush’s defense of Trump’s unenviable position, Lauer pressed the former president further. He wanted “W” to criticize the 45th president. 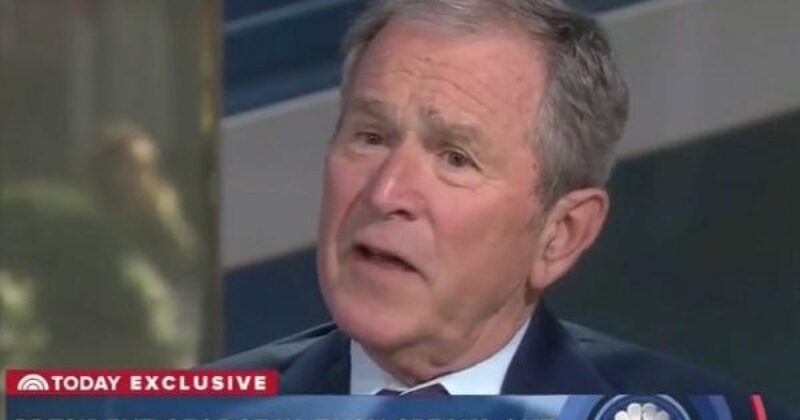 Pushing right back, Bush gave Lauer a big, fat reality check. The big three news networks (CBS, NBC, ABC) used to matter. The former heavyweights of news have been rendered irrelevant. We now live in a world of thousands of news sites, and 24-hour cable news. That’s the reality. Does the liberal media honestly expect Trump to fix everything, one month in? In truth, Trump has accomplished more in his first month than any president in modern history, including Reagan. He has not shirked responsibility or backed away from any campaign promise to date. In what the world considered the least likely presidential victory, perhaps in history, Trump works to his mandate. Make America great again is more than a slogan, but a calling. In accomplishing that mission, everybody benefits, including President Trump’s detractors. For the president, the healing has begun. He recently focused on education, bringing over a dozen black educators to discuss more funding for HBCUs. The media was silent, except for Kellyanne Conway’s seat on the sofa. Another recent announcement heralded jobs to be created by Exxon, and the media reports this on page 18 of the “Lifstyle” section. Democrat Elijah Cummings, who boycotted the inauguration is among many members of the Congressional Black Caucus who refused to meet with the president. Democrat after Democrat has vowed to fight him, even if they agree with him. It”s leftists who need to come together.